As someone who, for almost twenty years, has held as an article of faith that sole right and title to the Goldberg Variations rests exclusively with Glenn Gould, I was hesitant to review this new recording. But when somebody of Murray Perahia's stature records this music, notice must be taken, and besides, I fear no man as I fear Anthony Kershaw [yeah, right! - Ed], and when he says to do something, I do it. 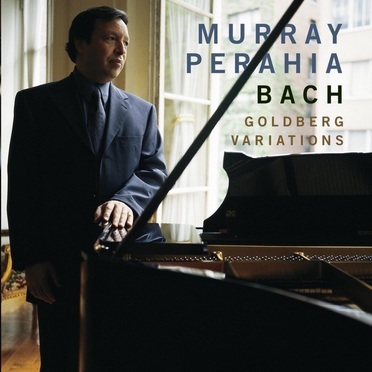 Since familiarity breeds content (no apology for puns), I felt that the only way to overcome my Gould fixation and create a level playing field was to listen to the Perahia version many times. The rewards were great. The clear and informative notes accompanying the disk explain in some detail the conceptual scheme underlying Perahia's performance. His perception is that the dramatic (rather than musical) structure of the work as a whole closely echoes that of the aria on which the variations are based. While I don't find that explanation entirely convincing, there is nothing unconvincing about the playing. The performance is nothing short of dazzling. Technically, it is flawless, with perfect articulation of all the voices, immaculately chosen tempos (except that I found the aria a little fast), and wonderful phrasing. This is not a performance for period-instrument purists; Perahia makes good use of the modern piano's capabilities, but he also maintains great respect for the style of the music, never resorting to dynamic extremes or muddying the contrapuntal textures with pedaling. Perahia plays both repeats in every variation, often with marked differences between the first and second renditions, differences which sometimes include altering the ornamentation, or even switching the melodic emphasis from one voice to another. Nonetheless, I never sensed any trickiness or self-conscious striving for originality; it all seems to grow from a deep inner conviction. All the dazzle and inventiveness is built over a rock-solid foundation of musical sensibility and expressiveness. The result is a superlative blend of precision and emotion brought brilliantly to life by the excellent quality of the recorded sound. There are many fine recordings of the Goldbergs on both piano and harpsichord. Each great artist in turn seems to find something fresh and original in this composition. If I had to choose only one version, I think I would stay with Gould, but this disk makes me very glad that I don't need to make that choice. Perahia's rendition is a beautiful and moving one that deserves a place of honour in anyone's collection.